You will use cablabel S3 with a cab printer connected to the network? 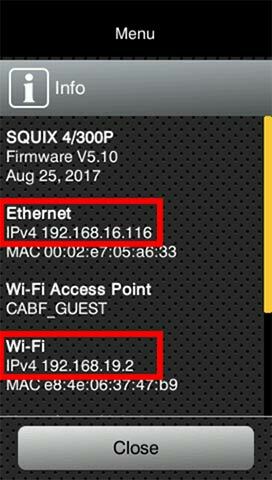 Connect the cab printer to the network with a not provided Ethernet cable or if appropriate by Wi-Fi. After that restart the printer. And search in the « Short status » menu, the information about the IPv4 address corresponding to your used connection type. Attention: for the assignment or reservation of an IP address, please contact your system administrator. First, install or update your cablabel S3 version. After that add a new device corresponding to your model. 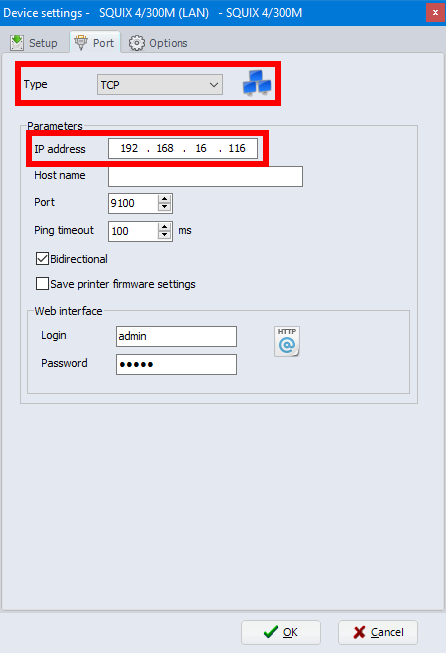 Then select the « TCP » port type and fill in the IP address previously collected on the printer. Notice: the installation of the Windows driver is only necessary for the MACH1 and MACH2 printers, or if you want to use a cab printer from the network with any other software.